A great many soulful ladies have stood before a microphone in the Crescent City and belted the blues or wailed scintillating R&B. 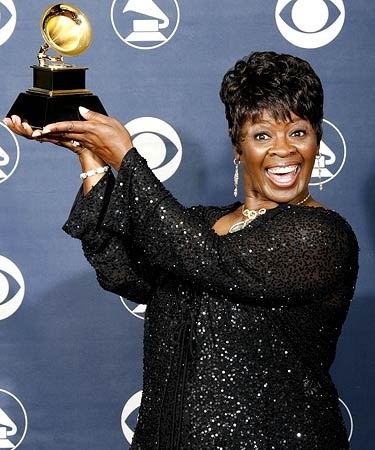 Only one holds the regal title of “The Soul Queen of New Orleans”: Irma Thomas. She’s also a survivor of the highest order. When Hurricane Katrina destroyed the Lion’s Den, the popular nightspot that she and her husband, Emile Jackson owned, she regrouped in Gonzales, La., near Baton Rouge, before returning to New Orleans to clean up their damaged home and get back down to business. Irma’s steady stream of acclaimed albums for Rounder Records producer Scott Billington in recent years (she won a 2007 Grammy for her aptly titled CD “After the Rain”) has kept her a contemporary performer, though her longtime fans at this year’s Ponderosa Stomp are sure to request the classic oldies that originally made her a star. Born Irma Lee on Feb. 18, 1941, in Ponchatoula, La. she moved to New Orleans with her parents when she was 3. Irma was exposed to the earthy sounds of R&B while living in a rooming house behind a local motel; the jukebox in the motel lounge spun Percy Mayfield, Joe Liggins, Cecil Gant, Lowell Fulson, and Annie Laurie, and the little girl dug them all. Local radio did its part too — there were plenty of R&B deejays spinning the latest hits — and Sunday usually brought a trip to the Home Mission Baptist Church, where Irma sang in the choir. It didn’t take long for Irma’s vocal talent to gain notice. She won a talent contest at a local theater when she was only 11, singing Nat King Cole’s “Pretend.” Everything came to a screeching halt when she became pregnant at 14. She dutifully married the baby’s father, dropping out of school to care for the infant. That marriage didn’t endure for long. She was remarried by the time she started singing in public, so she used his surname of Thomas professionally and didn’t change it after they divorced. Irma’s musical career began in earnest when she was working at the Pimlico Club. “I got fired while waiting tables because I got on stage and sung,” she said. “I sung ‘There Goes My Baby,’ and there went my job! It was Tommy Ridgley’s band that was playing at the time. I had sat in a couple of times with them, and the boss didn’t really like it, the fact that I was singing and the people was enjoying it and he had hired me to wait tables. So I guess his idea of my working was to wait on those tables, and he couldn’t care less whether the audience enjoyed my singing or not. He told me the next time I got up there, he was going to fire me. When I thought he wasn’t there, of course, the ham in me came out, and I got on stage and sung. And he fired me. “Dorothy LaBostrie was at the studio when I auditioned for Ron Records,” said Irma. “She said that she thought I could do that song. She taught it to me, and I did it.” Another LaBostrie composition, the smoky blues ballad “Set Me Free,” graced the flip. Naturally, a coterie of New Orleans’ top sessioneers assembled at Cosimo Matassa’s studio on Gov. Nicholls Street when Thomas cut the tune. Tenor saxist Robert Parker, then Irma’s labelmate, took a roaring solo midway through (Parker would later score his own 1966 smash, “Barefootin’,” on the NOLA logo; he performed it at the Stomp a few years back). Ron tried again later in the year with the storming “A Good Man,” coupled with the atmospheric ballad “I May Be Wrong” (co-writer Eddie Bo used the name of his wife, Dolores Johnson, as an alias on both). Lightning didn’t strike twice, but now Minit was interested. 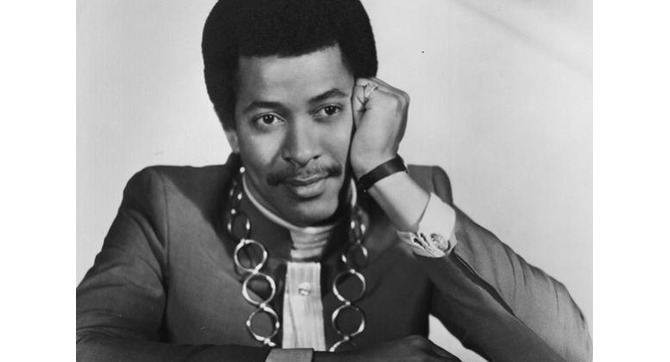 Toussaint wrote both sides of Irma’s Minit debut in the spring of ‘61, his full-bodied organ underpinning the wistful ballad “Cry On,” which stirred up some regional action (the easygoing “Girl Needs Boy” was its flip). Toussaint reached back for a violin-enriched remake of the Orioles’ laidback 1948 R&B chart-topper “It’s Too Soon To Know” as Irma’s Minit followup that fall, backed with another lush ballad, “That’s All I Ask,” that was composed by Toussaint under his mother’s maiden name, Naomi Neville, as were most of his songs for Irma. Toussaint penned the magnificently atmospheric ballad “It’s Raining” for Irma’s next Minit offering, out that summer. “He wrote one verse and taught it to me at his house, which was on Earhart Boulevard at the time. He was living with his parents,” she said. “He wrote the first verse in the bathroom. He said that was the only place he could find privacy to think, so that’s where he did most of his writing at. He called it the library. Allen’s organ again to the fore, Thomas grabbed hold of the mid-tempo “Two Winters Long,” Toussaint deemphasizing the Crescent City vibe in favor of a gliding Northern groove. On the shelves in time for Christmas of 1962, it was paired with another Toussaint copyright, the forceful “Somebody Told You,” that left no question as to its horn-powered Big Easy roots. There’s no doubt that the quirky, uptown soul-tinged “Ruler Of My Heart” was one of the most distinctive themes Toussaint ever wrote for Thomas. “If she wasn’t right in the room, it was when she was on the way over,” said Toussaint. “Because Irma, like others I was writing for, they inspired their songs because of who they were. Irma did a marvelous job, like she did on everything.” But the anguished ballad, coupled with Allen’s relentless guitar-dominated driver “Hittin’ On Nothing” during the spring of 1963, missed the charts entirely. Enter a sharp-eared Otis Redding. Banashak snuck a couple of leftover Thomas tracks (the fluffy, strings-enriched “For Goodness Sake” and “Whenever,” authorship on both credited to Naomi Neville) out on his brand-new Bandy logo during the summer of 1963, but Irma was soon on the move without Toussaint. Minit had been acquired by Los Angeles-based Imperial Records, and it assigned her to Imperial proper. Instead of recording in the Crescent City, Thomas would meet producer Eddie Ray and arranger H.B. Barnum at Hollywood’s United/Western Studios. They struck gold their first time out with the tormented ballad “Wish Someone Would Care,” which marked the first time Irma had recorded one of her own compositions. What inspired the song’s creation? “Anger,” she replied. “I hope to never get that angry again in life. It was bad times, and an uncaring person in my life. All that kind of contributed to it.” With Thomas contributing a devastating performance, “Wish Someone Would Care” hit the streets in early 1964 and crashed the pop Top 20 that spring, Barnum’s lavish uptown soul backdrop adding to its classy style. The joyous “Break-A-Way,” scribed by L.A. songsmiths Jackie DeShannon (an Imperial hitmaker in her own right) and Sharon Sheeley, was the perfect counterpoint to its plattermate — a joyous, effervescent slice of girl-group goodness that should have been a hit in its own right. For her all-important followup 45, Ray and Barnum chose the majestic “Anyone Who Knows What Love Is (Will Understand),” the creation of a quartet that included Newman and country chanteuse Jeannie Seely. Despite a lip-synched bow on “American Bandstand,” it didn’t quite crack the pop Top 50. The opposite side of the single might have stood a better chance of hitting had unforeseen circumstances not prevented it. The tangled history of “Time Is On My Side” merits a brief recounting. Written by Philly-bred producer Jerry Ragovoy under the alias of Norman Meade, it was first waxed in 1963 by a most unusual source: jazz trombonist Kai Winding, whose original uptown soul-styled version for Verve involved producer Creed Taylor, arranger Ragovoy, bandleader Garry Sherman, and a dream team of New Yorkers Cissy Houston, Dionne Warwick, and Dee Dee Warwick anonymously handling the soulful vocals in unison. 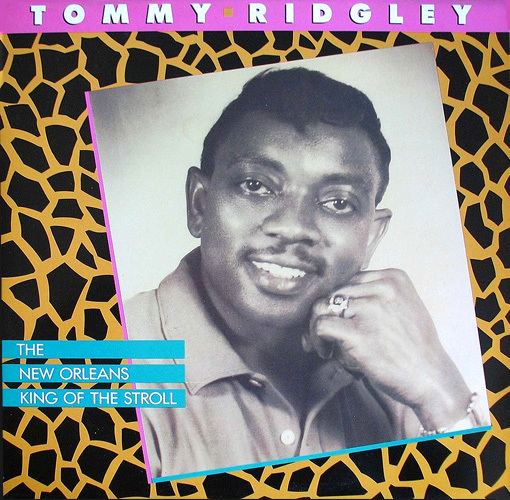 But something was missing: the bridge recitation, apparently added by L.A. vocalist Jimmy Norman, whose name was added to the writing credits by the time Ray handed “Time Is On My Side” to Thomas in late April of 1964 (Winding’s wailing bone covered the slot on the original rendition). Irma’s emotionally charged reading had hit written all over it, but the Rolling Stones killed her chances with a Top 10 pop cover. Thomas was understandably miffed. Ragovoy was back in the driver’s seat for Irma’s first Imperial platter of 1965, the two collaborating on the uptown soul stunner “You Don’t Miss A Good Thing (Until It’s Gone),” reminiscent of one of Jerry’s biggest sellers, Garnet Mimms & the Enchanters’ “Cry Baby.” Jerry also supervised the opposite side, McCoy’s sophisticated “Some Things You Never Get Used To,” though Sherman did the arranging honors instead of its producer. To its eternal credit, Imperial kept trying. Ragovoy remained in charge for Irma’s release that spring, “I’m Gonna Cry Till My Tears Run Dry” (gilt-edged composers Doc Pomus and Mort Shuman teamed with young singer Scott Fagan in the explosive ballad’s birth). 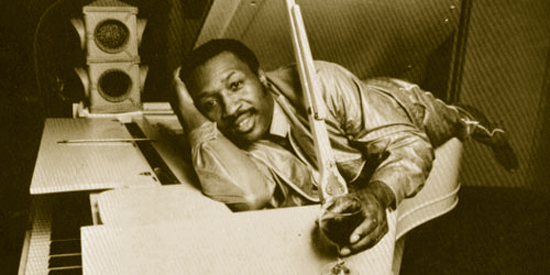 Alvin Steward was behind its flip, the more overtly R&B-styled “Nobody Wants To Hear Nobody’s Troubles,” Sherman arranged both sides at a session held at New York’s Mirasound Studios. McCoy’s smooth “It’s Starting To Get To Me Now” was pressed up that summer, the same braintrust in charge (Sherman arranged the more forceful opposite side, “The Hurt’s All Gone”). Although it didn’t chart, “Take A Look” was chosen as the title track of Thomas’ second Imperial LP. There were two more Toussaint compositions on board, the elegant “Wait, Wait, Wait” and “Teasing, But You’re Pleasing.” Newman was again represented, this time by a shuffling blues, “Baby Don’t Look Down,” complete with a rather rough-edged harmonica solo. Thomas’ Imperial swan song was a truly strange affair. James Brown paced the R&B hit parade in June of 1966 with his unapologetically chauvinistic “It’s A Man’s Man’s Man’s World” for Cincinnati-based King Records, and that very same month Imperial released the two-part sequel that he produced for Irma, “It’s A Man’s – Woman’s World.” “Oh, please!’” she exclaimed. “I think he approached the company about doing an answer to ‘It’s A Man’s World.’ The company and I were under the impression that they wanted me to sing the version that he had, only instead of the gender of the male, it would be from the female point of view. Well, honey, it didn’t come out like that. That was not what he had in mind! After that ignominious finale, Irma and Imperial parted company. In 1967, she signed with Chess Records. That June, the Chicago label sent her to Rick Hall’s FAME Studios in Muscle Shoals. The combination clicked musically, Irma sounding right at home with Hall’s cooking house band on her first single, coupling Dan Penn and keyboardist Spooner Oldham’s grooving “Cheater Man” and the shattering ballad “Somewhere Crying,” penned by St. Louis saxman Oliver Sain. 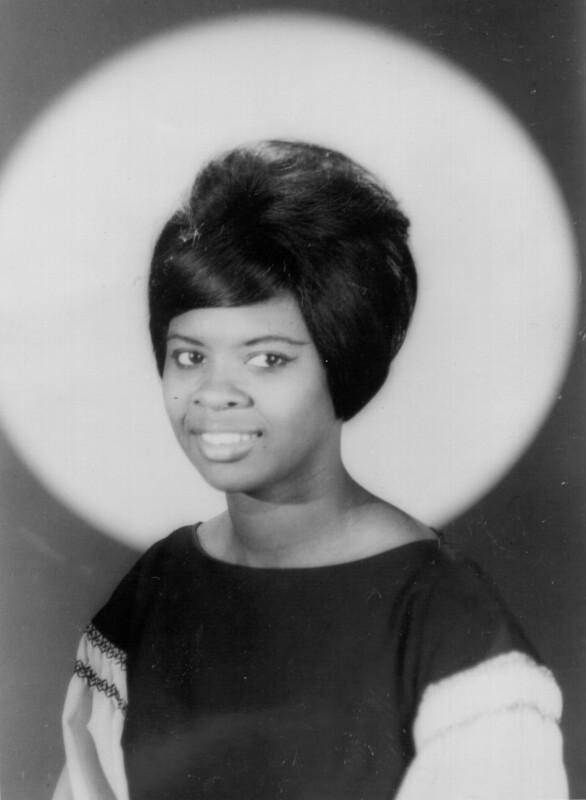 A cover of Miami chanteuse Helene Smith’s Paul Kelly/Clarence Reid-scribed soul ballad “A Woman Will Do Wrong” (soon a Top 20 R&B seller on the Phil-L.A. of Soul imprint) from the same sessions was twinned with the tough upbeat entry “I Gave You Everything” by Shoals writers Terry Woodford and Larry Hamby for her Chess encore. Thomas exacted a little revenge on Otis Redding by reviving his non-hit Volt platter “Good To Me,” another standout from her same bountiful June ’67 dates, and nailing her first chart entry in more than three years when it just missed the R&B Top 40 in early 1968 (Cash McCall’s happy “We Got Something Good” was its plattermate). “I was surprised at how well it did,” said Irma. “It was a very good session. There was only one song on there that I really didn’t have any great emotion for, and that was ‘Security.’ But they kept insisting, ‘Do this one! We think you can do it great!’ And they still thought it was great. I thought it was awful. But that’s their opinion, and I still held on to mine. “But the total session was a good session. It had a lot of emotion and feeling with it, except for that one song. I thoroughly enjoyed working with those guys. It was amazing how these horn men would come in and they would listen to what you had put down track-wise, and they’d just go for it and would come up with these riffs out of the blue. Nothing was really written down. I guess they had worked together so much that they could kind of feed off of each other and come up with all of these horn riffs.” Covers of Joe Simon’s “Let’s Do It Over,” Gerry Goffin and Carole King’s “Yours Until Tomorrow,” and Redding’s “I’ve Been Loving You Too Long” were dispatched to the vaults, as was “Security,” which is actually pretty hot. Then producer/composer Jerry “Swamp Dogg” Williams Jr., who dazzled an adoring throng at the 2013 Stomp, rolled into Irma’s life. Recently departed from a staff post at Atlantic Records (he’d previously made his mark as a singer with a ’66 hit for Calla, “Baby, You’re My Everything,” when he did business as Little Jerry Williams), he took over all aspects of Thomas’ output, writing, arranging, and producing her rowdy spring ’70 Canyon release “I’d Do It All Over You.” Williams and Troy Davis brainstormed the flip, the bitter divorce ditty “We Won’t Be In Your Way Anymore.” Canyon imploded by year’s end, so her next Williams-helmed single, pairing “These Four Walls” and her own saucy recitation “A Woman’s Viewpoint,” slipped out on the Roker logo. Swamp Dogg put together a 1973 Thomas LP, “In Between Tears,” for his own Fungus label, which was affiliated with BASF, a tape manufacturer. Irma also had a couple of Fungus 45s, the first pairing Dogg’s vengeful “She’ll Never Be Your Wife” with a wry “You’re The Dog,” the work of Swamp, Gary (U.S.) Bonds, and Charlie “Raw Spitt” Whitehead. The album’s torrid title track, another Williams/Davis collaboration, served as her Fungus encore. L.A. hadn’t proven a panacea for Thomas’ career. She paid the bills at one point by working at Montgomery Ward. Did she ever get discouraged? “Yes, for a brief moment,” she said. “But I enjoy what I do so well, till I just kind of hung in there and hoped something would break eventually.” She moved back home in 1974 and got lucky in love, marrying Emile the next year. He would serve as her manager and built her a terrific touring band, the Professionals. There were a few scattered releases along the way, but it wasn’t until 1986, when Rounder released her Billington-produced album “The New Rules,” that Irma’s recording fortunes really took flight again. She revisited several of her deep catalog items on that set and revived Aretha’s “Baby I Love You” and Martha and the Vandellas’ “Dancing In The Street” on her 1988 Rounder followup set “The Way I Feel,” radiating Big Easy warmth all the while. 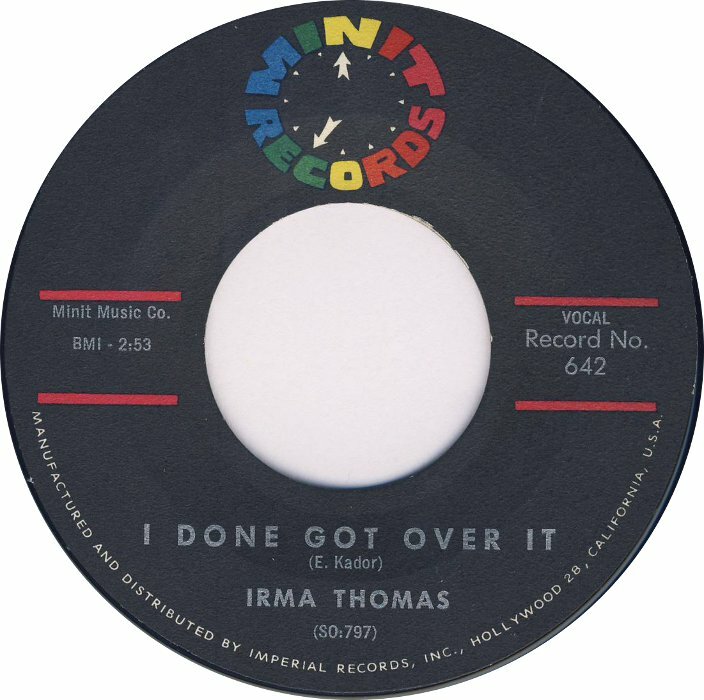 “After the Rain,” Irma’s Grammy-winning 2006 release, had her stretching artistically, tackling everything from the Drifters’ “I Count The Tears” and Arthur Alexander’s “In The Middle Of It All” to the ancient blues “Make Me A Pallet On The Floor” and pre-war Blind Willie Johnson (Billington was still in command). 2008’s “Simply Grand” took an intriguing tack, teaming Thomas with 13 different pianists that resembled an all-star team of the ivories, including Dr. John, Davell Crawford, Henry Butler, Randy Newman, Ellis Marsalis, Jon Cleary, David Egan, David Torkanowsky, and Tom McDermott. The Soul Queen of New Orleans will regally reign over this year’s Ponderosa Stomp. Get your tickets here and now!